After an unexpected hard drive failure and my poor computer spending a week at the Apple store, photos from Residency Certificate Night have finally been uploaded to Flickr. Congratulations again to our 2014-15 LMPS Pharmacy Practice Residents on the successful completion of their programs and to our LMPS award recipients! With the launch of our newly designed LMPS Pharmacy Practice Residency Program website, I'd like to take a moment to thank Robin Lee for his dedication with this project over these past months. Robin has been instrumental in the design and development of our new website home and it has certainly not been an easy task with the sheer volume of information that needed to be transferred. Robin's work has been nothing short of exceptional and the launch of our new site would not have been possible without his assistance. With over 40 years of training pharmacy residents, the LMPS Pharmacy Practice Residency Program can help you take your passion forpharmacy practice to a whole new level. Develop your knowledge and skills with some of the best in the profession. Applications for the 2016-17 program are now open! For more information, see our Program Description and the Apply page. It’s hard to believe it’s that time of the year again, but our incoming 2015-16 residents are already gearing up to start their residencies in just a handful of months. So with that, I would like to make the call for residency research project proposals for the 2015-16 residency cycle. Please take a moment to review our Project Resources page for details on the project process and what’s involved. What's the bottom line on what makes a suitable project? This leaves considerable latitude for project designs and you are invited to think beyond the traditional bounds of "residency-type" projects. For example, some recent projects have beenqualitative/quantitative systematic reviews. Or why not talk to your colleagues at other sites in our department and plan a multi-site project? To submit a project proposal, please complete the 1-page Project Proposal Template and Project Suitability Checklist found on our Project Resources page and e-mail both of these documents directly to janice.yeung@vch.ca April 30th. 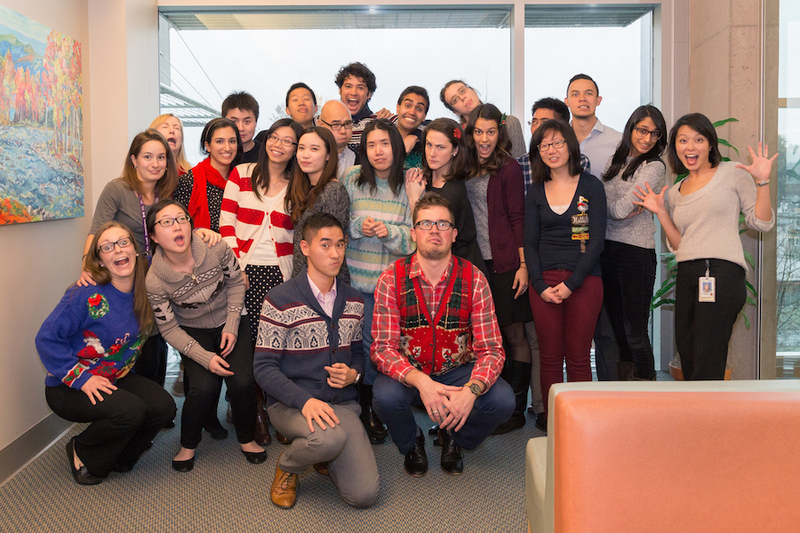 But I wanted to be sure to share the Christmas photos from our 2014-15 LMPS Pharmacy Practice Residents. They are a pretty fantastic group that I’ve enjoyed working with immensely. Photos courtesy of our own Torey Lau. Are you interested in pursuing a pharmacy practice residency in an experiential training program like no other? Based in Vancouver, BC, the LMPS Pharmacy Practice Residency Program offers an unmatched range of learning opportunities within the various sites across our four Health Authorities. 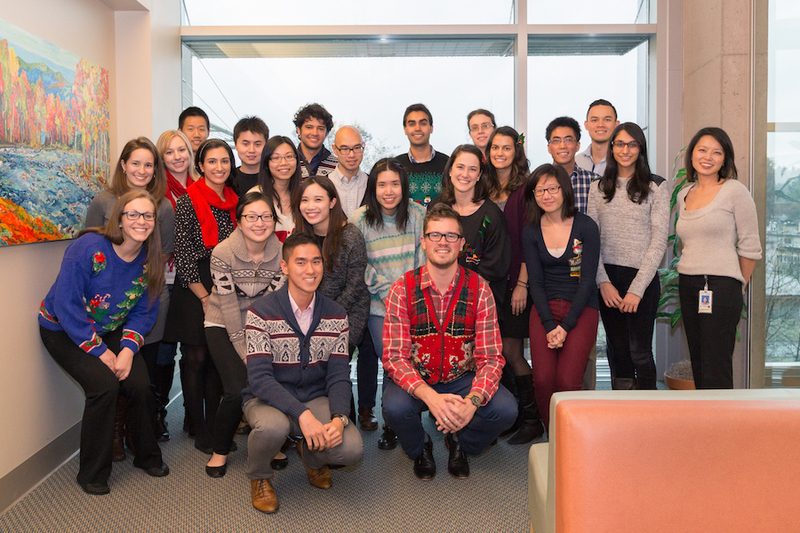 With over 40 years of experience training pharmacy practice residents and the largest, most dedicated and experienced group of preceptors in any Canadian residency program, LMPS is worth your consideration. Please visit our website to learn more about our Program and what we offer. Applications are now being accepted for admission to the 2014-15 program and close on October 1st, 2014. If you have any questions about our Program, please contact Janice Yeung, Coordinator, LMPS Pharmacy Practice Residency Program.